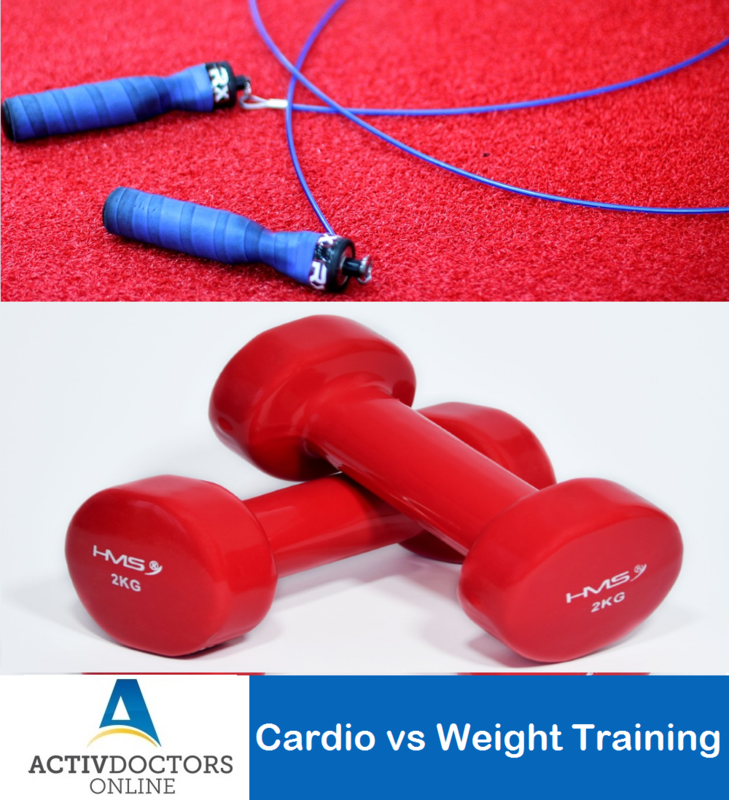 Many of us today have gym or fitness center memberships and have often wondered if we should perform cardio exercises or weight training. It is quite a dilemma to understand what works best and for whom. Cardio – Cardiovascular exercise is commonly referred to as cardio. It includes those exercises that increases your heart rate, makes you sweat and increases oxygen supply to all the parts of the body. Examples include – running, cycling, zumba , etc. What do cardio do? Cardio increases heart rate, pumps oxygen more efficiently increases bone density, strengthens ligaments, reduces anxiety. With the combination of all these effects it helps in burning out calories more effectively. It has also shown promising effects on increasing energy levels. What do weight training exercises do? They help in building up of muscles thus making your muscles more strong and powerful. More muscles help in burning more calories. Due to increased muscle mass, they help in increasing metabolic rate. If you would wish to be fit with muscle mass and increased energy levels; a combination of both cardio and weight training exercises are recommended. Cardio AND Weight Training can go a long way in keeping you fit, active and more than well.